Unwrapping of ios long rumored news magazine Flip board has brought a great success to application world. It provides you better reading lively experience to read. Besides flipping of your magazine pages you can flip on social integration sites like Face book news feed, tweets, photos from Instagram feeds, sounds & lot more. The lively experience on iPad makes you feel as if you are reading a book. The look & feel of apps is wonderful. As a student it’s a better option for you for readability. You don’t have to turn your pages just with a single flip you turn & access your page. *Connectivity with SoundCloud allows you listen recordings created by people & share your own recordings with them. *The addition of voice over for visually impaired users allows you to navigate through the app & listen favorite articles. *The audio channels which were divided in pages in Flipboard allow you listen songs in background. *The app also offers audio controls which let you jump to a sound clip. *You can bookmark your favorite clippings. 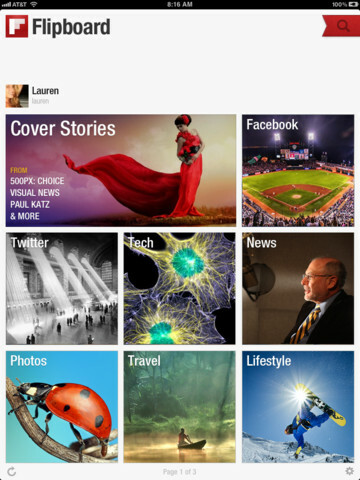 Flipboard now available on Apple & Android beta version. 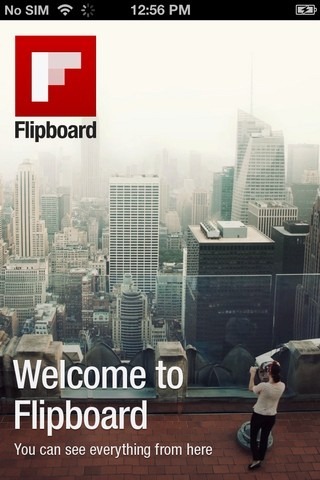 Download Flipboard here for free!! !